Does your law firm want to build detailed and well-developed legal buyer personas, so you can ensure you're targeting the correct audience? 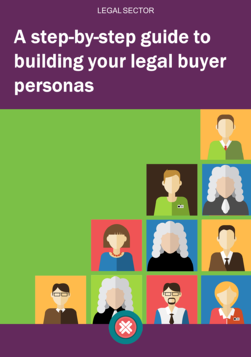 In this eBook, we'll talk you through how to build your legal buyer personas step-by-step, so you can make sure all of your team know exactly who your ideal clients are and produce content that is relevant to your leads - ultimately securing new clients! Are they right for your firm?